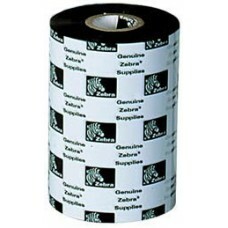 Zebra 2100 Enhanced Wax - 110MM X 450M Black Wax Ribbon. Compatible with Industrial Printers. Used with paper labels. Zebra 2100 Enhanced Wax - 89MM..
Zebra 2100 Enhanced Wax - 89MM X 450M Black Wax Ri..
Zebra 2100 Enhanced Wax - 102m..
Zebra 2100 Enhanced Wax - 102mm X 450M Black Wax R..